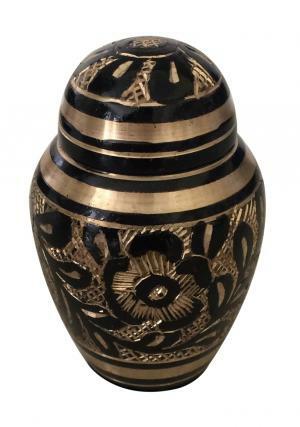 Our legend and refined westminster black keepsake brass urn is made of highly qualified solid brass metal. 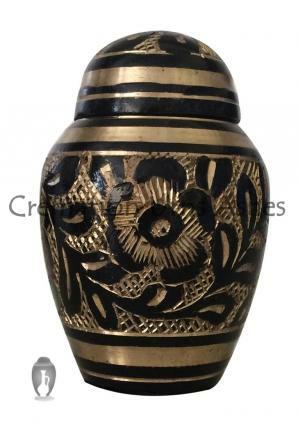 The graceful mini brass urn has been hand made and intricately hand designed by top skilled artisans. 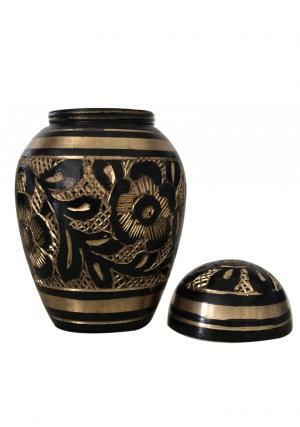 Fill your loved ones funeral ash in mini memorial keepsake urn and keep at safety place. This beautiful memorial keepsake urn is keep close to you forever with the memories of your loved ones. The stardust urn must be satisfying your promises of family member. Fill the funeral ashes through top secured lid and place at any corner in your home as decorative item. 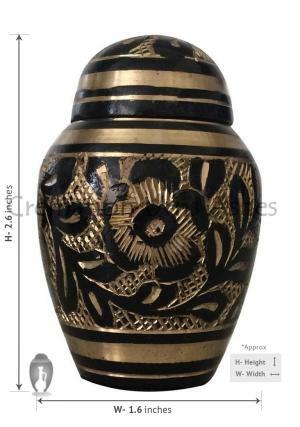 Bogati westminster black keepsake brass urn is finished with black and brass engraved. 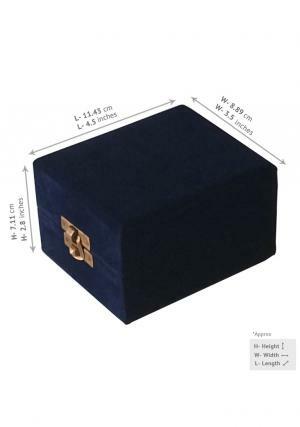 This small keepsake brass urn size is 2.7 inches high and weight is 0.15 Kg. Purchase online and gets free delivery within United Kingdom.